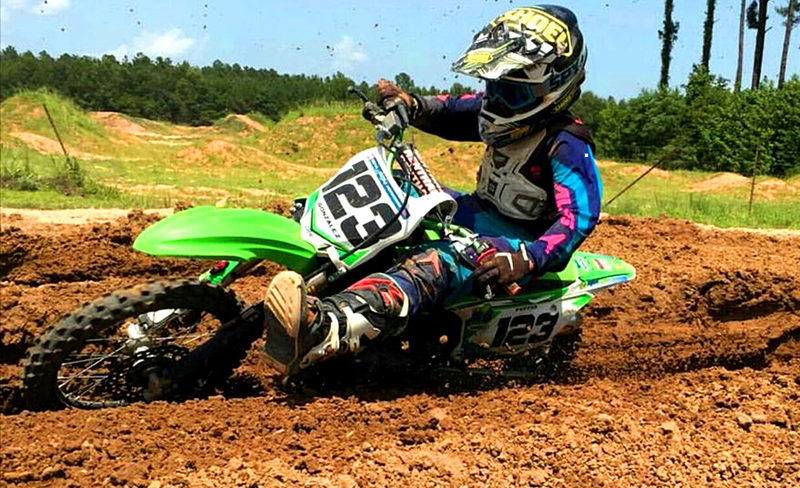 This motocross park offers a main track that is about one mile long a separate peewee track. Boht track mainly consist of clay and are groomed and watered regularly. Amenities at this park include restrooms and showers, a spray wash area for bikes and concession stand. Limited electric and water hookups are available. Membership is required and both day and annual passes are offered. The park is usually open for practice on wednsday, Thursday and weekends permitting. Hours are seasonal so check the track hotline before heading out.